Stylish interiors, refurbished kitchen and bathroom plus a convenient walk to everywhere address, all combine to make this single level villa an affordable first home or lifestyle investment. 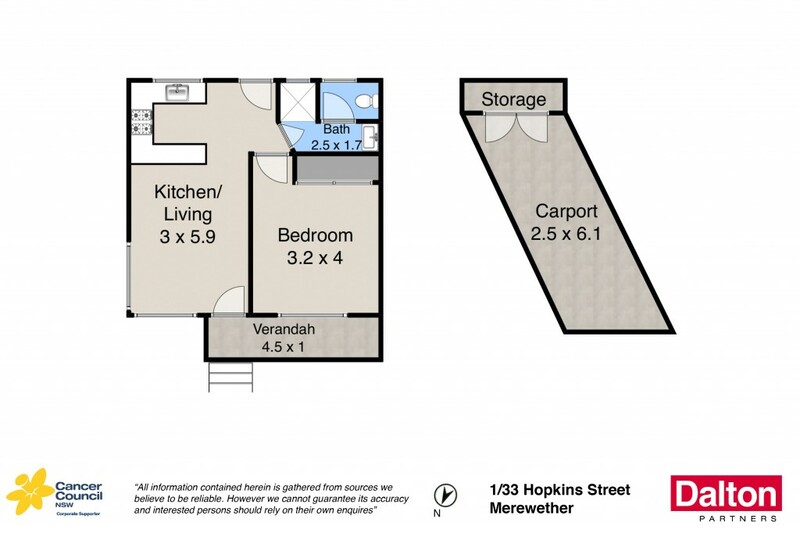 Ideally positioned only moments from Merewether Beach and The Junction's vibrant cafe and restaurant scene. * Bathed in natural light from an optimum northern aspect. * Spacious double bedroom with built in wardrobe. * Bright open plan living with balcony and air conditioning. * Modern up-dated kitchen with gas cooking. * Well-appointed bathroom with floor to ceiling tiles. * Undercover parking for one car plus a secure storage unit. * Stroll to Merewether beach/baths and The Junction centre. Council Rates: $1,468 PA approx. Water Rates: $652 +Usage PA approx. Strata Levies: $540 PQ approx.